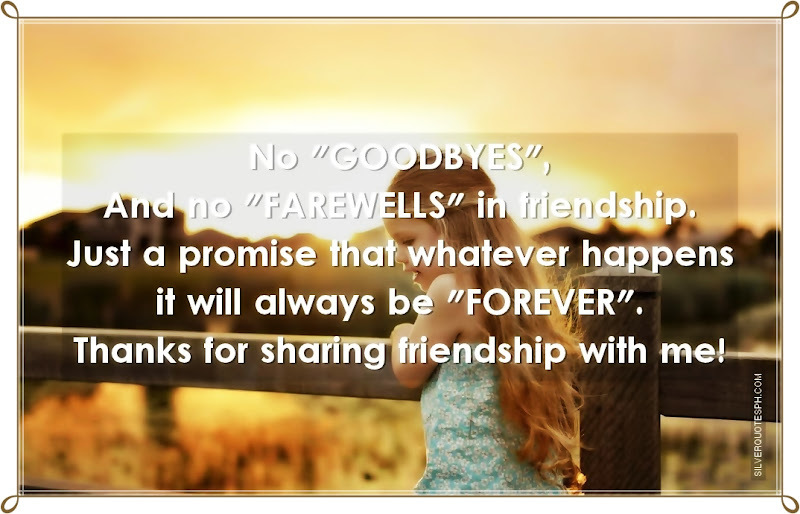 No "GOODBYES", And no "FAREWELLS" in friendship. Just a promise that whatever happens it will always be "FOREVER". Thanks for sharing friendship with me!